It was such a busy last couple months that I almost missed my photo in Vogue India! 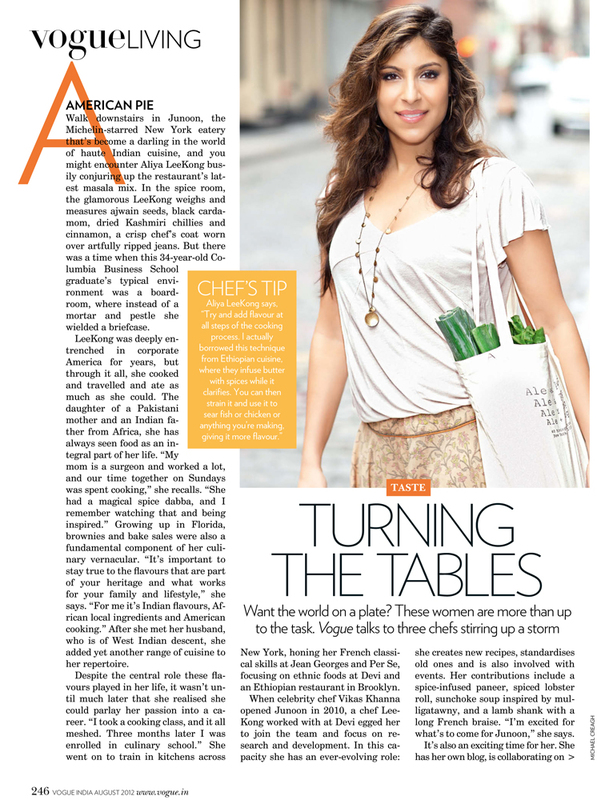 It is for a feature on an amazing New York Chef, Aliya LeeKong. She is the chef and culinary creative director at Junoon; a Michelin starred restaurant serving haute Indian cuisine. I took this portrait of Aliya in Soho. And my only regret is I should have planned an idea where she was making some of that amazing food!! Boy, did I miss out. You can follow her on her website, Facebook Page and Twitter. Of course, this isn’t my first shoot with one of the Vogues. You can see my shots with Fluvia Lacerda and DJ Kiss for different features on Italian Vogue.com.